Obsessionally Defending The Game • Shroud of the Avatar - KABALYERO - PLAY, BLOG & EARN! Someone mentioned in a recent comment, "how many posts do you make a week obsessionally defending the game". In my Twitter account, if you consider all my Tweets since I started playing Shroud of the Avatar then it's not even once a month. Just because I defended the game 5 or 6 times in Twitter last month, it's now considered obsessionally defending the game. Seriously, if I was obsessionally defending the game then I would be defending the game everywhere it is mentioned but that is not the case. 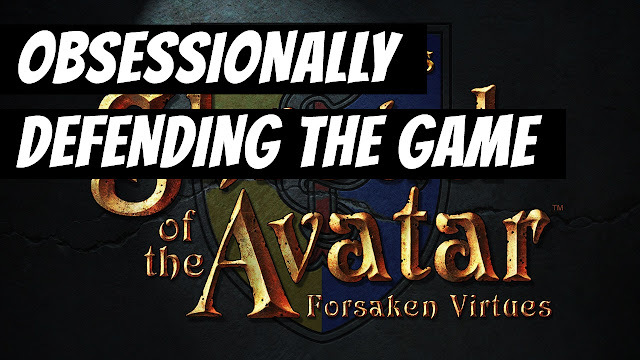 Honestly, if you go and check articles or news or stories or anything related to Shroud of the Avatar in various gaming sites like MMORPG.com, Eurogamer.net, MassivelyOP, Reddit, Rock Paper Shotgun and others then you will see the people who are truly obsessed and they are obsessionally attacking the game, Shroud of the Avatar.